Today the world is again witnessing innocent civilians being starved to death in Madaya and across Syria. Hunger continues to be used a weapon of war. You have no doubt seen the pictures. We are living the reality. 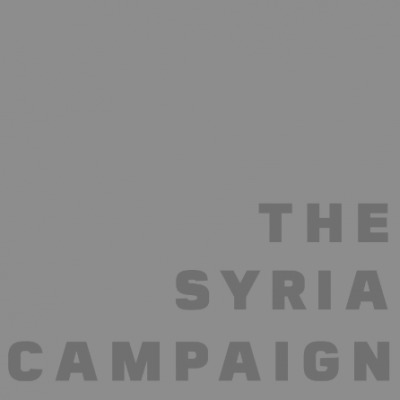 We are medical workers, teachers, rescue workers and civil society activists who, along with hundreds of thousands of others, are living under siege in Syria. Our towns are sealed by checkpoints and barricades and our populations are being starved, deprived of medical supplies and in almost all cases bombed daily by the regime of Bashar al-Assad. On the rare occasion that someone is allowed out of a besieged area, they are humiliated when they return with a full body search only to have had the smallest things confiscated -- a biscuit or a tomato. In almost every one of our towns, we haven't seen a single loaf of bread from the UN in over a year. On the rare occasion that someone is allowed out of a besieged area, they return with a full body search only to have had the smallest things confiscated -- a biscuit or a tomato. What makes this suffering more painful is knowing that in many besieged areas, such as those around Damascus, UN warehouses full of lifesaving aid are often just minutes away. You are choosing not to deliver that aid to us, not because of danger from non-state groups who are prepared to give safety assurances, but because the Assad regime is not giving you permission. This is hardly surprising since it is the regime imposing the sieges in the first place. What we do not understand is why you are chasing permission you do not even need, since Security Council resolutions 2165 and 2258 authorize you to deliver that aid without the regime's consent. Why are you creating unnecessary hurdles while civilians starve? In Deir Ezzor, where it is ISIS besieging 200,000 civilians from the outside, it is also the Assad regime denying aid distribution from the inside. You have quietly accepted the regime's excuses that it is unsafe to airlift aid into the airport. Yet the regime is flying up to 10 flights a day to supply its own soldiers. It does so while disregarding the needs of civilians in that area, who were one of the first to challenge Bashar al-Assad's rule. Mr. O'Brien, your colleagues in Damascus are either too close to the regime or too scared of having their visas revoked by the same powers that are besieging us. Why are you not distributing aid to Deir Ezzor? Meanwhile, the UN is delivering billions of dollars of aid to regime-controlled areas. By allowing the regime to veto aid to civilians in areas outside its control, you have allowed the UN to become a political tool of the war. Aid should go to those who need it most, without regard to politics. This is why people here think the siege is as much by the UN as it is by the regime. Mr. O'Brien, your colleagues in Damascus are either too close to the regime or too scared of having their visas revoked by the same powers that are besieging us. Those whose loved ones die from malnutrition-related illnesses or a lack of basic medical care will never forgive the UN staff who sit minutes away in luxury hotels, within earshot of the bombings. And this is not just about aid delivery. Without a regular UN presence, it is much easier for the regime and its allies to bomb civilians under siege. There are no international witnesses to its crimes. The regime's "surrender or starve" policy is killing us. But instead of using your voice to oppose it, you are stamping a UN seal of approval on the siege. After Al Wa'er in Homs was evacuated following almost two years of devastating isolation, your UN coordinator in Damascus, Yaacoub El Hillou, called this result "a good model to build on." These words encourage the regime to tighten its sieges across the country, not loosen them. For many of us in Syria, the UN has turned from a symbol of hope into a symbol of complicity. For those who still had faith in the impartiality of the UN, the final straw came a few weeks ago. News was confirmed that your staff had agreed to a last-minute request from the Assad regime to remove the words "siege" or "besieged" from all 64 pages of your Humanitarian Response Plan for 2016 -- the UN's key fundraising document. Why are you silencing our suffering? As if refusing to break the sieges were not enough, it now seems the UN is even afraid of uttering the words. For many of us in Syria, the UN has turned from a symbol of hope into a symbol of complicity. Two decades ago, in Srebrenica, we saw what happens when UN peacekeepers get dictated to by war criminals. 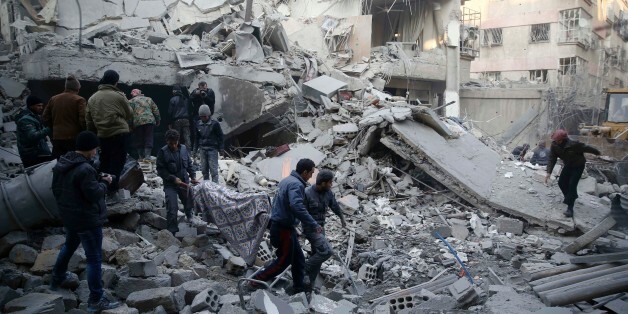 Today in Syria, it seems to be the turn of UN humanitarians. Mr. O'Brien, as head of the UN body negotiating, coordinating and deciding access to these areas, you have the power to deliver lifesaving food and medicine to those children who are starving to death. The UN Security Council has given you authorization and the world has paid for the aid. It is time to have the courage of your convictions and break the siege. Full names of signatories have been withheld for security reasons. A global advocacy group standing in solidarity with non-violent Syrians and their struggle for a peaceful and dignified future.